A cream bell lamp shade with a polished brass finish spider fitter from the Imperial Shade Collection™. Crisp and cosmopolitan lamp shade in a handsome creme fabric. Slight bell shape has a more formal look about it. Spider fitting. 4 1/2" across the top x 9" across the bottom x 8" on the slant x 7 1/2" high. Creme fabric, polished brass finish spider fitting. Bell lamp shade from the Imperial Shade Collection™. Recommended for use with maximum 40 watt candelabra bulbs. Closest to size and style needed. I have one about this size on a lamp right now, but its the "uno" style and it doesn't fit right. I'm going to try this one and the clip-on style and see which one fits the best. Replacement for one that was ruined by the air conditioning company. It was the right size and the right color. I have three 1930s Aladdin Alacite lamps that need new shades. I actually visited two or three stores in my area but did not find what I liked. Did an internet search this morning and Viola! I am grateful to have found you. I needed this size shade and color shade to fit retrofitted antique brass candlesticks into electric lamps for my antique vanity. Lamp is 30” tall with bottom 6”. What size shade do I choose? BEST ANSWER: Hi Delberta - If just the base is that tall, you should choose a shade approximately 18" high and approximately 16" wide. I have added a helpful link below for more information on how to size a shade. Please feel free to contact one of our knowledgeable Lighting and Home Décor Specialists who can provide you with some fantastic advice and options. 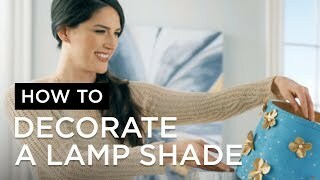 I need two small beige candle lamp shade? BEST ANSWER: I have included a clip on shade similar in design. We are looking for a replacement shade for our RV. Shade size is 31/2" (Top), 81/2" (Bottom), 5 1/2" (Slant), 5" (Vertical). It has a spider fitter 1/2" down from the top. Can you help us? 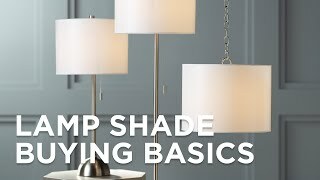 can a cllip on shade be replaced with a spider shade? BEST ANSWER: Yes, you need a clip on spider shade fitting. Below is a link to provide a visual of the adapter. Unfortunately, we do not sell such an adapter. I had a very good experience shopping at your store. Your sales people were very welcoming without getting in the way. The shades look great on my candle stick lamps that sit on my buffet table.